It’s been over a year since Game of Thrones last aired, but the mystery of Viserion still lingers like a chilly breeze on a gross muggy day in midtown Manhattan. 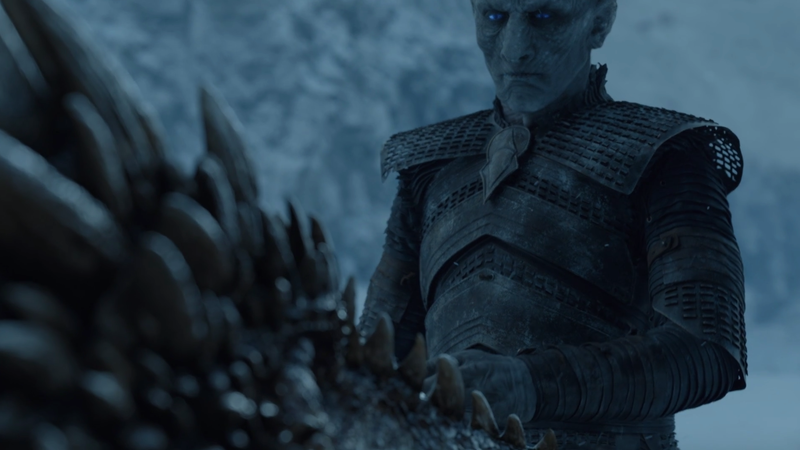 Now, thanks to a look at the script, we know the answers behind a couple of those key questions: Is he an ice dragon or a wight? Does he breathe fire or ice? And how did those stupid chains work? Okay, that last one’s unrelated but it’s still an important question, dammit. The script for Game of Thrones’ season 7 finale, “The Dragon and the Wolf,” was posted on the Emmys website along with other writing nominees for the 2018 awards. A couple of interesting tidbits have surfaced thanks to the text, like a moment that suggests Beric Dondarrion and Tormund might have survived the collapse of the Wall (hooray!). But I’m mostly interested in the section about Viserion. But then a stranger sound comes from the north. Tormund looks to the sky, and sees a mote on the horizon, coming in fast. ...hitting the Wall with a blast of blue flame. Bran’s meaningful birds take flight. A massive chunk of the Wall breaks free ahead of Tormund. The ice dragon glides away, and we get our first clear look at him, and at the Night King on his back. He’s done the same thing to Viserion that he did to Craster’s sons. Only those were babies, and this is a dragon. Viserion’s origin as a winged officer of the undead has been a sticking point for fans for a while now. The general consensus has been that Viserion is an ice dragon who breathes blue fire, thanks to HBO’s Game of Thrones Viewers Guide. But wrenches have been thrown into the gears on occasion—including a poorly written “ice and not fire” description on a coffee mug, and the fact that the source material claims ice dragons are mythical beings of pure ice, which Viserion is not. But I’m of a mind that if it’s in the script, it’s official. So here you go, folks. Viserion is an ice dragon, not a wight. However, we also got some new information here: confirmation of how undead Viserion was created. This is the first we’re hearing of how the Night King turned him, using the same touch-based magic that he used to turn Craster’s sons into White Walkers. This likely means that people and creatures don’t have to be alive for the Night King to transform them into members of his inner circle, which adds yet another threat level we didn’t have before. If he can replace his White Walkers with anyone, living or dead, then we could eventually be seeing a Hodor officer in his ranks. Hodor...sad face. Who would win in a fight between a dragon and an Apache helicopter? How Did This Long-Buried Dragon Skeleton Roar Back to Life ... And What Will Happen Next? 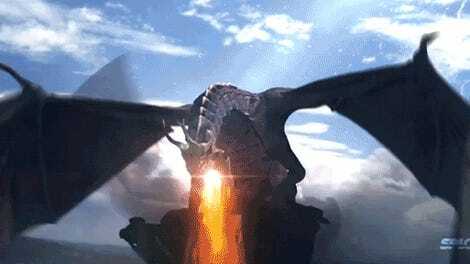 What Would It Take to Kill Daenerys&apos; Dragons?